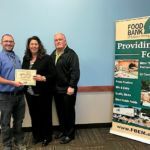 The Food Bank of Eastern Michigan presented awards to volunteers, individual donors, companies, and other partners for their support in 2018 during the annual Partner Recognition Luncheon on March 26. Kara Ross, President and CEO of the Food Bank, highlighted the many partners who made the 2018 Holiday Campaign a success. 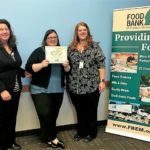 This year’s campaign had more than 150 activities, events, and food drives and raised $730,000 and 52,000 pounds of food, which gave the Food Bank the ability to provide 4.4 million meals through our partner agencies. Major partners this year included Biggby Coffee, the Flint Firebirds, Kroger, MLive, Outfront Media, The State Bank, Security Federal Credit Union, Financial Plus Credit Union, Genisys Credit Union, Skaff Furniture, and VG’s. Ross also highlighted the ABC 12 School Spirit Challenge, in partnership with Elga Credit Union. Since 2009, the School Spirit Challenge has secured food and cash donations equating to 3.3 million meals. 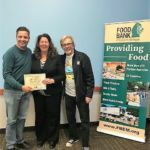 Retail store partners were also recognized as part of the Food Bank’s Retail Store Recovery Program. In 2018, partners Aldi, Kroger, Sam’s Club, Target, and Walmart provided more than 5 million pounds of food. Several stores also ran cash register campaigns in support of the Food Bank. 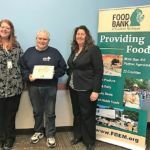 Support from donors, volunteers, and partners is vital for the Food Bank of Eastern Michigan, year-round. 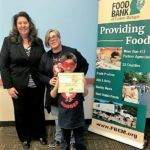 The collective efforts of the Food Bank and partners provided help to more than 331,000 families through our more than 400 partner agencies in 2018.